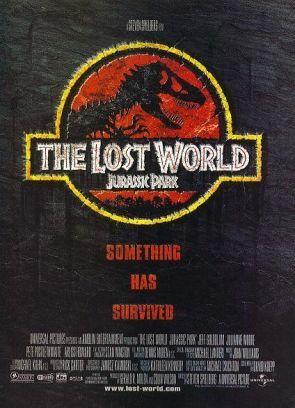 This entry was posted in Live Action Movie Reviews, Live Action Movies, Reviews and tagged Dinosaurs, Film Review, Jurassic Park, Lost World, Lost World: Jurassic Park, Movie Review, Review, T Rex by dreager1. Bookmark the permalink. I wasn’t blown away by this, but I’d say it’s better value than a 3/10. I loved the suspenseful scene with the cracking glass – that was classic Spielberg. Overall, though, it falls short. The dog getting eaten scene at the end is what really threw the film over the edge for me. It had come so close to mostly avoiding the animal violence trap that it was pretty disheartening. The film was also a tad too violent. The heroes trying to survive in the falling tractor was a good scene. I think that the main heroine should have known better than to try to rise push up style when the glass was already breaking, but in the heat of the moment it can be tough not to panic. I’m probably watching Jurassic Park III on Memorial Day weekend so it’ll be fun to see how that one stacks up.